In Hassleholm, a small, drab city in southern Sweden, a minor political earthquake took place last year. The Sweden Democrats, an anti-immigration, populist rightwing party with roots in the neo-Nazi movement, have long been ostracised by all other Swedish political groups. But last spring three centre-right parties in Hassleholm used the Sweden Democrats to oust the centre-left-led local council. In return, the centre-right backed the Sweden Democrats to take the deputy chair of the city council, the first time the populists had received such support. For a brief period last autumn, Hassleholm’s council even recommended the Sweden Democrats’ budget for 2018 before the mainstream centre-right one was later adopted. “All the time, my dream was to get to power. The legitimacy of the Sweden Democrats is higher if we show we can lead — lead a municipality, a country. This is the first step,” says Patrik Jonsson, deputy chair of Hassleholm city council and the Sweden Democrats’ regional head in Skane. In national elections on September 9, the Sweden Democrats are hoping for a much bigger political earthquake. Opinion polls over the past two weeks have given them everything from 16.8 per cent to 25.5 per cent, placing them anywhere from third to first place. At the very least, they are likely to become potential kingmakers and challengers to the centre-left and centre-right blocs that have ruled for decades. The centre-left Social Democrats have been the largest party in the Scandinavian country for more than a century. A strong showing by the Sweden Democrats would bring its own pressures: it would have to decide whether it wants to be a mere party of protest or a party of influence. Nordic neighbours have either seen rightwing populist parties enter government such as Norway and Finland or seen them gain considerable influence in parliament in Denmark. But such an outcome would be a deep shock to consensus-driven Sweden, which has long prided itself on being perhaps the most open European country to immigrants at the same time as offering a generous welfare state. It would put both Sweden’s traditional political system under immense strain and call into question the long-term cordon sanitaire that the main parties have tried to place around the populist party. It would also bring to the centre of political debate the Sweden Democrats’ policies on immigration and of holding a referendum over whether Sweden should leave the EU. For all these reasons, the results will be watched closely across the rest of Europe. While the European mainstream survived a series of challenges from the far-right in 2017, the results this year in Italy and potentially now in Sweden have demonstrated that the region remains vulnerable to the populist message, especially on the topic of immigration. Until now, the isolation of the Sweden Democrats has been a deliberate policy of the mainstream parties. When the current centre-left Swedish government called in all parliamentary parties to discuss immigration in 2015 at the peak of the migration crisis, it pointedly failed to invite the Sweden Democrats. “The other parties have invested so much in the isolation of the Sweden Democrats,” says Ann-Cathrine Jungar, a leading researcher into the radical right at Sodertorn University. The Sweden Democrats have in many ways benefited from their exclusion. The establishment political parties in Sweden long held similarly positive views on immigration. That meant that when Sweden received 163,000 asylum seekers in 2015 — more relative to its population than almost any other European country — the Sweden Democrats initially stood alone in warning of the consequences. “The other parties tied their hands behind their backs,” says Anders Sannerstedt, an expert on the Sweden Democrats at Lund University. Its surge in support was checked in 2016 and 2017 as the establishment parties, led by the governing Social Democrats, tightened up the rules on immigration. But in 2018 the Sweden Democrats have become ever more popular, topping several opinion polls and spreading something close to panic among the other parties as to how to deal with them. They are also benefiting from public concern about violent crime. Just this week about 100 cars were set on fire by groups of youths in what appeared to be organised attacks centred on the western city of Gothenburg. Faced by a suggestion from the Sweden Democrats leader Jimmie Akesson to send in troops to quell gang shootings and grenade attacks in the suburbs, prime minister Stefan Lofven initially was open to the idea, before later backtracking.“It’s harder for other politicians to distance themselves from the Sweden Democrats as they themselves make policies that are close to the Sweden Democrats on immigration. They have become legitimised,” says Ms Jungar. Paula Bieler, a senior MP and the Sweden Democrats’ spokesperson on immigration, says many voters have become disillusioned by the other parties’ inconsistent views on immigration. “If you represent 20 per cent and the other parties don’t even want to negotiate or co-operate, the pettiness of it all makes people lose confidence in the other parties,” she adds. It is not just immigration that attracts people to the party; a survey by Kantar Sifo suggested Sweden Democrats voters tend to feel that politicians do not listen to them or respect their way of life. For the other parties, the reason for the Sweden Democrats’ isolation is simple: the party’s roots in the neo-Nazi movement. The party grew out of several fascist groups including one “Keep Sweden Swedish”, which also became an early slogan for the Sweden Democrats. “Neo-fascists” is how Mr Lofven calls them, and there is a visceral dislike from left-wingers. But the Sweden Democrats have become more moderate since they were founded in 1988. Mr Akesson, in charge since 2005, has led a purge of dozens of members for openly racist views. A new party — Alternative for Sweden — was started last year, drawing several of the Sweden Democrats’ most high-profile extreme members. Steve Bannon, Donald Trump’s former adviser, says the party is “perfect casting” for the movement of “right-wing, populist nationalists” he wants to encourage in Europe. Controversies still surface, however, most recently when a senior Sweden Democrat MP said that Jews and Sami people were not Swedish. The resulting dilemma for how the establishment centre-right parties should handle the Sweden Democrats — and the opportunities and challenges that poses for the populists — can be seen in Hassleholm. The city council is divided into three factions — a centre-left one with just under half the votes, a centre-right one with a quarter, and the Sweden Democrats with a quarter. Each group used to vote for its own budget, all but guaranteeing the centre-left stayed in power. In 2017, however, the centre-right and Sweden Democrats teamed up to push the centre-left out. But then it started to go wrong. Ulf Erlandsson, the first Sweden Democrat to become deputy chair of a municipal council, became caught up in various scandals including sharing racist articles on social media. He was forced to resign almost immediately, denting the Sweden Democrats’ credibility. Douglas Roth, the centre-right chair of the council, calls the populists “not serious” for their constant linking of everything to immigration. “The problem with them is that if we want to tarmac the road outside, they say we can’t do it because there are immigrants here,” he adds. Mr Jonsson, the new Sweden Democrat deputy chair in the city, is frank about the implications of the city’s experiment. “Hassleholm is an example of what we could be — and also what can go wrong if you co-operate with the Sweden Democrats,” he says. The issues are mirrored at a national level. Ulf Kristersson, head of the centre-right Moderate party and favourite to become prime minister, has said he will not negotiate or co-operate with the Sweden Democrats. But forming a government in that case will be highly tricky. The four centre-right parties are set to get roughly about 40 per cent, the centre-left 40 per cent, and the Sweden Democrats 20 per cent. Any government would require support from either the opposing bloc or the Sweden Democrats to pass legislation. There are different opinions throughout the four centre-right parties on how to deal with the Sweden Democrats. Some think they should be normalised and given influence in parliament, others that they should continue to be ostracised. Some analysts and politicians believe a one-party minority Moderate government is the most likely result. The more radical alternative would be to seek a left-right “grand” coalition as in Germany. “Nobody really knows what will happen after the elections,” says Mr Sannerstedt. He argues instead for the alternative. “What I think is the best way is to show we are a reliable party. Even if the Alliance [the four centre-right parties] don’t have a budget that is perfect for us, we have to get an agreement to work together.” Ms Bieler says she thinks a one-party minority government is most likely. The Sweden Democrats’ price for supporting that government would be influence over “migration policy, and a willingness to listen to us”. As with all populist parties, the danger can be in compromising too much. Ms Bieler refers to the example of the True Finns who joined the centre-right government in Helsinki in 2015 but have since plummeted in the polls and split in two after a disastrous performance where the anti-EU party ended up endorsing the third bailout of Greece. Party officials instead look over the Oresund strait to Denmark where the Danish People’s party has never entered government but has had increasing power for more than a decade from parliament, especially over immigration. “The question for the Sweden Democrats is whether they can gradually become more accepted without falling apart,” says Stefan Fölster, director of the Reform Institute. So far, September’s elections are very much being fought on the Sweden Democrats’ terms. Sweden’s economy has performed relatively well since the global financial crisis but there is little discussion of that. Instead, most of the focus has been on immigration, integration, and crime — as well as recently on climate change after summer-long forest fires. Sweden Democrat proposals include restricting family reunification for immigrants, speeding up deportations, improving care for the elderly, and fighting criminal gangs. Of all the policies of the Sweden Democrats’ that have caused controversy, immigration is not top of the list. Instead, it is the party’s suggestion that Sweden hold a referendum on leaving the EU. Swexit, as it was quickly christened, should take place because the EU is a “large web of corruption”, party leader Jimmie Akesson said in June. “We pay unbelievably lots of money and get back unbelievably little. But the main reason is ideological: we don’t want to be in a supranational union,” he added. The Sweden Democrats have long tried to campaign on the issue but have got little traction with the public. Almost all the other political parties are firmly in favour of EU membership. Only the ex-Communists of the Left party want to leave as well — and they have distanced themselves from the Sweden Democrats by saying they do not want a referendum yet as there is not sufficient public support. Only 27 per cent of Swedes think the country would be better out of the EU while 67 per cent disagree, according to the latest Eurobarometer survey. The other parties have sought to use that — and the mess of Brexit — to criticise the Sweden Democrats. The centre-right Moderates, favourites to assume the prime ministership, estimate that Swexit would cost Sweden SKr280bn ($31bn), or SKr40,000 for every household. Jan Björklund, leader of the centre-right Liberal party, made Swexit the main theme of his big summer speech, warning that as many as 150,000 jobs could be at risk. “It would be devastating for Sweden . . . Prices would go up and the standard of living down, and it is important that people know this when we go to vote,” he added. Carl Bildt, the former prime minister, went even further, calling the proposed referendum “the biggest single danger to Sweden’s future prosperity”. Mexico’s proximity to the world’s largest economy has been both a blessing and a curse. On one hand, Mexico enjoys easy access, with efficient trade routes, to an enormous market of wealthy consumers, particularly since the signing of the North American Free Trade Agreement. On the other hand, the allure of trade with such a market has made Mexico dependent on the U.S. for trade – and makes the Mexican economy more vulnerable to the trade war launched by the current U.S. administration. So far, Washington has pulled out of the Trans-Pacific Partnership, slapped tariffs on critical industrial goods like steel and aluminum and demanded that NAFTA be renegotiated. This approach is forcing Mexico to re-evaluate its own trade partnerships and strive for greater market diversification. To be sure, Mexico has tried to diversify its export markets for years, in part by signing trade agreements with dozens of countries. In addition to joining the General Agreement on Tariffs and Trade, the World Trade Organization’s predecessor, in 1986 and NAFTA in 1992, Mexico has entered into 12 other free trade agreements that cover 46 countries, according to Mexico’s Economic Ministry. It also has trade and investment promotion agreements with several other countries. But despite these efforts, Mexico is still heavily reliant on the U.S. market: 80 percent of Mexico’s exports go to the United States. And trade has become an increasingly important part of the Mexican economy. Over the past 25 years, exports have gone from 12 percent of Mexico’s gross domestic product to nearly 38 percent, according to the World Bank. This Deep Dive will look at Mexico’s prospects for diversification in its most important export industry: the auto industry. It will focus on five emerging markets and conclude that, although these markets can’t replace the U.S. completely, they can help reduce Mexico’s dependence on its northern neighbor. Attracting export customers really comes down to establishing a comparative advantage. At a basic level, it requires a country to produce goods that other countries want to buy. But those goods must also be sold at a price that buyers are willing to pay. If potential customers can buy the same good – or one of similar quality – for a cheaper price elsewhere, they almost certainly will. There’s also the issue of delivery, which is affected by things like government regulations (which may limit access to certain markets) and infrastructure (which can affect how quickly goods can reach a market). Barriers to delivery can increase the cost of goods and therefore make them less competitive. Just over 80 percent of Mexico’s total exports are manufactured goods, the vast majority of which do not qualify as high tech. In 2017, five sectors accounted for nearly two-thirds of Mexico’s total exports: vehicle and vehicle parts, furniture and bedding, optical and medical devices, machinery and mechanical appliances, and electrical equipment and parts. From 2013 to 2017, Mexico maintained or increased its global market share in all of these categories except electrical equipment and parts. In addition, among the world’s top producers, it ranked between fourth and 11th in each of these categories but only 13th in total exports. These indicators suggest that Mexico has a comparative advantage in these industries. Mexico’s comparative advantage in the auto industry is the result of a number of factors. First, labor costs in Mexico are relatively low, with the daily minimum wage at 88.36 pesos ($4.60). By comparison, the federal minimum wage in the U.S. is $7.25 per hour. Wages for an entry-level manufacturing job in Mexico can start as low as $2 per hour, with the average being $2.60 per hour. The cost of renting a production facility can be as low as $4 to $6 per square foot annually, while customized construction costs run about $27-$35 per square foot. Manufacturing is clustered in certain states, and infrastructure and supplier networks have developed in these areas to support manufacturing activity. When it comes to the U.S. market, Mexico’s biggest advantage over other low-wage producers is its low transportation costs due to its proximity to the U.S. and established infrastructure connecting the two countries. But Mexico doesn’t want to rely so heavily on one market; even if there were a trade-friendly administration in Washington, Mexico would still be looking to increase trade with other partners. Globally, vehicle sales are expected to increase this year, but slower than last year. At the start of the year, IHS Markit, an information services firm, reported that global light vehicle sales growth by unit is expected to be 1.5 percent in 2018, down from 2.4 percent in 2017. Emerging markets will drive growth while mature markets like Europe will see low growth rates. Sales in Western Europe are expected to grow by only 0.7 percent in 2018, and in mature Asian markets like Japan and South Korea they will increase modestly – by 2.4 percent and 2 percent, respectively. Even Chinese growth in demand is projected at only 0.2 percent, as tax breaks on cars are phased out this year. But sales are expected to increase by 11 percent in India, 15.9 percent in Russia and 12.5 percent in Brazil. Moody’s projects similar global growth in vehicle sales for 2018. It estimates Western European sales will grow 2 percent this year before slowing to 0.5 percent next year. The exception may be Germany, which Moody’s expects to see above-average growth of about 4 percent in the next year or so as it phases out diesel vehicles. Japan is expected to see a decline in sales this year and low growth in 2019. The ratings company’s projections for China are more optimistic than IHS Markit’s: It anticipates China will have 2 percent growth this year and 2.5 percent in 2019. Looking ahead, large emerging markets like India, Russia, China and Brazil will be the primary areas of growth for finished vehicle sales. According to a 2017 report by PwC Growth Markets Center, emerging markets will account for over 90 percent of the increase in demand through 2023. In addition, the report projects that emerging markets will produce just over 60 percent of vehicles by 2021, up from about 56 percent in 2017. Focus2move, a firm that tracks global auto trends, also suggests that emerging markets’ share in auto sales is increasing. According to the company, in 2017, car sales grew by 8.7 percent in India, 9.2 percent in Brazil and 11.9 percent in Russia. Though China’s growth rate is comparatively low (2.3 percent), it is the largest market for vehicle sales in the world, so in absolute terms the increase is still significant. When evaluating Mexico’s potential alternative markets, we considered two factors: countries with promising growth in demand for both finished automobiles and auto parts, and countries that had existing trade agreements with Mexico. (Replacing suppliers for auto parts is more complicated than it is for finished vehicles because production processes in different countries may have different requirements.) In the analysis below, we focus on four emerging markets that show promising growth in this sector, as well as South America, a region with which Mexico has several trade agreements. Mexico’s exports to India total $3.42 billion, and roughly three-quarters of those exports are oil. Mexico’s auto exports to India consist entirely of parts and accessories. But despite India’s size, its market for auto parts is limited and highly competitive. In 2017, Mexico exported just $56.1 million worth of auto parts to India, compared to $23.1 billion to the United States. India is unlikely, therefore, to replace the U.S. as Mexico’s main market for such goods anytime soon. In fact, India’s total imports of these components were worth just $4.3 billion. Even with vehicle sales expected to increase in India over time, its market is still less than a fifth of Mexico’s total sales to the U.S. In other words, even if Mexico were India’s sole supplier of these goods, it would still be only 20 percent of the value exported to the United States. Indian tariffs on auto components from Mexico are 10 percent – which puts Mexico on par with China, while other suppliers like Japan, South Korea and Thailand have lower tariff rates. As for finished vehicles, India likely wouldn’t want to increase competition for its own domestic producers by importing cars from Mexico. The automotive industry now accounts for half of all manufacturing activity in India and about 7 percent of GDP. Some 85 percent of the cars produced in India are sold domestically. Mexico, however, is India’s top export destination for finished cars. India may not be interested in buying finished vehicles from Mexico, but it is interested in investing in Mexico’s automotive industry (along with pharmaceuticals and information technology). Even with the questions about NAFTA’s future, India still sees Mexico as a gateway to North, Central and South America, largely because of the many other trade agreements in those regions that Mexico is part of. Bilateral trade between Russia and Mexico is quite low. Prior to the past couple of years, little effort was made to encourage trade between these two countries. Mexico’s National Association of Importers and Exporters opened an office in Moscow only this year. But now, both governments have their own reasons to want to boost trade with each other – Mexico wants to diversify its export markets as the U.S. trade war heats up, and Russia wants to revive its auto industry, which started declining a decade ago, and encourage economic growth after a recent recession. Prior to the 2008 financial crisis, Russia was the second-largest car market in Europe. But after the crash, car sales slumped. There was a slight rebound in 2012, but it was short-lived. The steep drop in oil prices in 2014 exacerbated the problem, as the economy took a major hit and sales continued to decline through 2016. (Russia’s dependence on oil, a commodity whose price it can’t control, is another reason Moscow wants to increase production of value-added goods like automobiles.) It wasn’t until last year that Russian car sales and production began to finally show signs of recovery, along with the rest of the economy. In fact, the prolonged period of decline is one reason Russia has potential for growth in sales and production in the near and medium term. Russia imported $255.6 million worth of goods, including $77.67 million auto sector goods, from Mexico last year. These imports consisted primarily of finished vehicles designed for the transport of people ($76.85 million) and parts and accessories ($823,000). Tariffs are only 1.65 percent on auto parts from Mexico but 16.52 percent on finished vehicles. But again, the question is, could Russia be a viable alternative to the U.S. market? Russia imported a total of $7.9 billion in parts in 2017, which is about a third the amount imported by the United States. Imports of finished vehicles totaled $6.7 billion, which is only about 23 percent of the U.S. market. But Russia, which has been the target of U.S. sanctions in recent years, also has political reasons to want to decrease its imports from the United States. For Mexico, Russia might not be able to replace the U.S. completely, but it has ample room for growth in sales. The size of the Chinese market makes it an attractive alternative destination for Mexican exports. Since 2009, China has been the largest purchaser of finished vehicles in the world, buying up 28.2 million units in 2017. (The U.S. ranked second at 17.2 million units.) Over the past couple of years, Mexico and China have worked to increase bilateral trade, which totaled $80.86 billion in 2017, up 7.9 percent from the previous year. This figure is projected to rise to $90 billion in 2018. Mexico and China have expressed interest in signing a free trade agreement, and with both caught in the crosshairs of the U.S. trade war, they now have even more motivation to do so. Though China imported an impressive $79.2 billion worth of vehicles and automotive parts in 2017, Mexico supplied only $1.24 billion worth of these goods. Germany is China’s top supplier, accounting for 27 percent of these goods, while Japan came in second at 21 percent and the U.S. third at 19 percent. The U.S. sold $12.7 billion worth of finished vehicles to China and $1.8 billion worth of parts. Meanwhile, Mexico exported only $826.66 million worth of finished cars and $413 million worth of parts to China last year. Mexico would not be able to take over the Chinese market completely, but it certainly has room to increase its sales there, particularly in finished cars. Mexico also stands to benefit from increased Chinese investment in Mexico’s auto industry. This year, the Beijing Automotive Industry Corp. announced plans to build its first factory in Mexico, with construction slated to begin in 2020. The company wanted a production facility closer to its supply base and to avoid paying tariffs on supplies. China is protective of its domestic market and producers but has become more flexible in the auto industry due to its desire to increase foreign investment and mitigate the effects of the trade war. In July, the Chinese Finance Ministry reduced import duties on passenger cars from 25 percent to 15 percent. Similarly, auto part duties that ranged from 8 percent to 25 percent were reduced to 6 percent. The government also announced plans to ease restrictions on foreign investments in China. There are also plans to reduce the amount of local content required in Chinese-produced vehicles, which currently stands at 50 percent. This could open the door for Mexico, which produces higher-quality parts and input materials than China at competitive prices. Brazil and Mexico have long-established trade frameworks. Both countries are part of the Latin American Integration Association, which provides a flexible framework for the development of economic agreements between member countries. Specifically, members can use the Economic Complementation Agreement mechanism to establish import quotas for certain goods with reduced tariffs. These agreements can eventually evolve into formal free trade agreements between two countries. Mexico and Brazil are currently using this mechanism to try to establish duty-free trade in the auto sector. Nonetheless, trade between the two countries is relatively small. Brazil imports only $3.68 billion worth of goods from Mexico, of which about a quarter is related to the auto industry ($788 million worth of finished vehicles and $616.9 million worth of auto parts). This accounts for about 12 percent of Brazil’s auto imports, which totaled $11.2 billion in 2017. Only Argentina exported more auto goods to Brazil – about $3.7 billion worth. Argentina and Brazil have a complicated trade relationship, particularly in the auto sector, which has led to trade disputes in the past. Mexico wouldn’t want to undermine their relationship because it could disrupt trade for the region, but it does have an opportunity to increase its market share in Brazil. Mexico’s strategy includes trade agreements that encourage integrated production models and purchases of other goods from Brazil such as grains to balance Mexican auto sales. This would help Mexico diversify not only its automotive exports but also its grain imports, which largely come from the U.S.
South American markets are small but they’re growing, and to Mexico’s advantage, it already has trade agreements with many of them. Some of the fastest growing markets in terms of vehicle sales last year were Argentina (28.7 percent), Chile (17.9 percent) and Ecuador (61.7 percent). Mexico has a free trade agreement with Chile and Economic Complementation Agreements with Argentina and Ecuador. The Mexican auto industry has also promoted the idea of diversifying exports by looking to members of the Pacific Alliance, a trade bloc formed in 2011 by Chile, Colombia, Mexico and Peru. All members have bilateral free trade agreements with one another and have already eliminated tariffs on 92 percent of goods traded within the bloc. The Pacific Alliance also wants to become more active in global markets, particularly in East Asia, as reflected in efforts to strike a deal through the Comprehensive and Progressive Agreement for Trans-Pacific Partnership. In its efforts to decrease its dependence on the U.S. market, Mexico will face many challenges. First, the United States is the world’s largest economy, and it’ll be difficult to replace it with any other market. With the potential exception of China, none of the major emerging economies identified here can on their own consume as much as the U.S. Mexico, therefore, must pursue multiple markets at the same time, which is actually a good strategy considering that it wants to diversify its trade relations. Russia and China – both of which have had their share of problems with Washington recently – may be particularly motivated to do business with Mexico. Second, these large markets all have their own burgeoning auto industries, and imports are in direct competition with domestically produced goods. (This is more a concern for finished vehicles than for auto parts, since imported parts can be used by domestic producers and don’t necessarily limit sales of domestically made cars.) Governments often protect domestic industries by putting up trade barriers such as tariffs that increase the price of imported goods, making them more expensive and thus less competitive. Then there’s the issue of time. Major shifts in a country’s export markets don’t happen overnight, yet Mexico could see new U.S. tariffs on the auto sector soon. Plus, to remain competitive, Mexico will need to continue to attract multinational firms that can produce goods at low prices. This will be more difficult as its access to the U.S. market becomes more uncertain. (This is, after all, one of Mexico’s biggest selling points.) But regardless of what happens in the NAFTA talks, or whether the U.S. government decides to impose new tariffs, Mexico knows it needs to diversify its trade partners. It’s a question of when, not if. 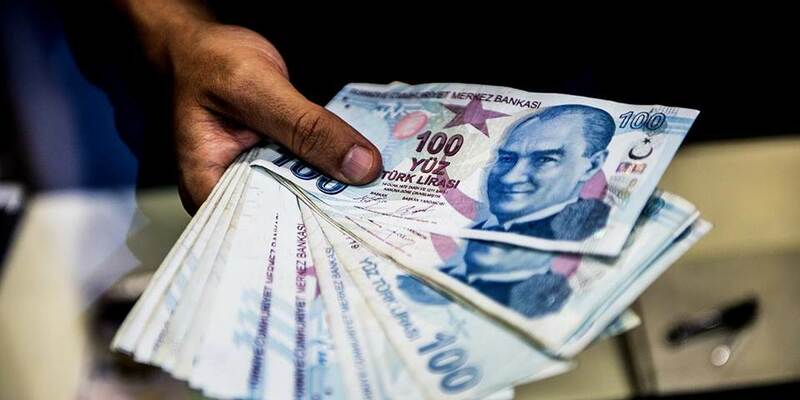 LONDON – Turkey’s falling currency and deteriorating financial conditions lend credence, at least for some people, to the notion that “a crisis is a terrible thing to waste.” I suspect that many Western policymakers, in particular, are not entirely unhappy about Turkey’s plight. To veteran economic observers, Turkey’s troubles are almost a textbook case of an emerging-market flop. It is August, after all, and back in the 1990s, one could barely go a single year without some kind of financial crisis striking in the dog days of summer. But more to the point, Turkey has a large, persistent current-account deficit, and a belligerent leader who does not realize – or refuses to acknowledge – that his populist economic policies are unsustainable. Moreover, Turkey has become increasingly dependent on overseas investors (and probably some wealthy domestic investors, too). Given these slowly gestating factors, markets have long assumed that Turkey was headed for a currency crisis. In fact, such worries were widespread as far back as the fall of 2013, when I was in Istanbul interviewing business and financial leaders for a BBC Radio series on emerging economies. At that time, markets were beginning to fear that monetary-policy normalization and an end to quantitative easing in the United States would have dire consequences globally. The Turkish lira has been flirting with disaster ever since. Now that the crisis has finally come to pass, it is Turkey’s population that will bear the brunt of it. The country must drastically tighten its domestic monetary policy, curtail foreign borrowing, and prepare for the likelihood of a full-blown economic recession, during which time domestic saving will slowly have to be rebuilt. Turkish President Recep Tayyip Erdoğan’s leadership will both complicate matters and give Turkey some leverage. Erdoğan has steadily been seizing constitutional powers, reducing those of the parliament, and undercutting the independence of monetary and fiscal policymaking. And to top it off, he seems to be reveling in an escalating feud with US President Donald Trump’s administration over Turkey’s imprisonment of an American pastor and purchase of a Russian S-400 missile-defense system. This is a dangerous brew for the leader of an emerging economy to imbibe, particularly when the United States itself has embarked on a Ronald Reagan-style fiscal expansion that has pushed the US Federal Reserve to raise interest rates faster than it would have otherwise. Given the unlikelihood of some external source of funding emerging, Erdoğan will eventually have to back down on some of his unorthodox policies. My guess is that we’ll see a return to a more conventional monetary policy, and possibly a new fiscal-policy framework. As for Turkey’s leverage in the current crisis, it is worth remembering that the country has a large and youthful population, and thus the potential to grow into a much larger economy in the future. It also enjoys a privileged geographic position at the crossroads of Europe, the Middle East, and Central Asia, which means that many major players have a stake in ensuring its stability. Indeed, many Europeans still hold out hope that Turkey will embrace Western-style capitalism, despite the damage that Erdoğan has done to the country’s European Union accession bid. Among the regional powers, Russia is sometimes mentioned as a potential savior for Turkey. There is no doubt that Russian President Vladimir Putin would love to use Turkey’s crisis to pull it even further away from its NATO allies. But Erdoğan and his advisers would be deeply mistaken to think that Russia can fill Turkey’s financial void. A Kremlin intervention would do little for Turkey, and would likely exacerbate Russia’s own financial and economic challenges. The other two potential patrons are Qatar and, of course, China. But while Qatar, one of Turkey’s closest Gulf allies, could provide financial aid, it does not ultimately have the wherewithal to pull Turkey out of its crisis singlehandedly. As for China, though it will not want to waste the opportunity to increase its influence vis-à-vis Turkey, it is not the country’s style to step into such a volatile situation, much less assume responsibility for solving the problem. The more likely outcome – as we are seeing in Greece – is that China will unleash its companies to pursue investment opportunities after the dust settles. That means that Turkey’s economic salvation lies with its conventional Western allies: the US and the EU (particularly France and Germany). On August 13, a White House spokesperson confirmed that the Trump administration is watching the financial-market response to Turkey’s crisis “very closely.” The last thing that Trump wants is a crumbling world economy and a massive dollar rally, which could derail his domestic economic ambitions. So a classic Trump “trade” is probably there for Erdoğan, if he is willing to come to the negotiating table. Likewise, some of Europe’s biggest and most fragile banks have significant exposure to Turkey. Combine that with the ongoing political crisis over migration, and you have a recipe for deeper destabilization within the EU. I, for one, cannot imagine that European leaders will sit by and do nothing while Turkey implodes on their border. Despite his escalating rhetoric, Erdoğan may soon find that he has little choice but to abandon his isolationist and antagonistic policies of the last few years. If he does, many investors may look back next year and wish that they had snapped up a few lira when they had the chance. Joel Bowman: G’day, Nick. Last we spoke, you were describing what you called the “natural and predictable endgame” for the twin evils of democracy and fiat currency. Uplifting as that was, I thought today we might focus on some potential free-market workarounds to that rather unpleasant terminus. Nick Giambruno: Well, just to make an important distinction, there’s a big difference between what I see as the inevitable endgame for society and what you, yourself, can do as an individual. As long as society at large holds onto these values of socialism, collectivism and so forth, it will continue on its present path to destruction. But that doesn’t mean you, as an individual, are doomed. You can certainly take steps to not only protect yourself but profit from the unfolding situation. Joel: Excellent distinction, Nick. To that end, we’ve written quite a lot in this communiqué about the recent return to market-based money in the form of cryptocurrency, which empowers individuals to be their own bank, as opposed to having to rely on state-sponsored money, where trust necessarily must rest in the government to maintain their currency’s integrity. Can you talk about that a little bit? Nick Giambruno: Right. In that sense I view cryptocurrencies as a wonderful tool to advance human freedom through empowering individuals to take control of their own financial destiny. I own them personally. I’m totally for them. Joel: For the uninitiated, who might have heard the word bitcoin or ethereum or ripple, but don’t really know much beyond that, what’s the best way to begin the learning curve? Nick Giambruno: You really want to start with bitcoin, which was the first cryptocurrency out there. There are 1,700 or so different cryptocurrencies out there in the market now, each with different properties, each purporting to cater to a different market niche. To be honest, a lot of them are garbage, so you really have to do your due diligence. But that doesn’t mean there aren’t some genuinely good quality offerings to be had. 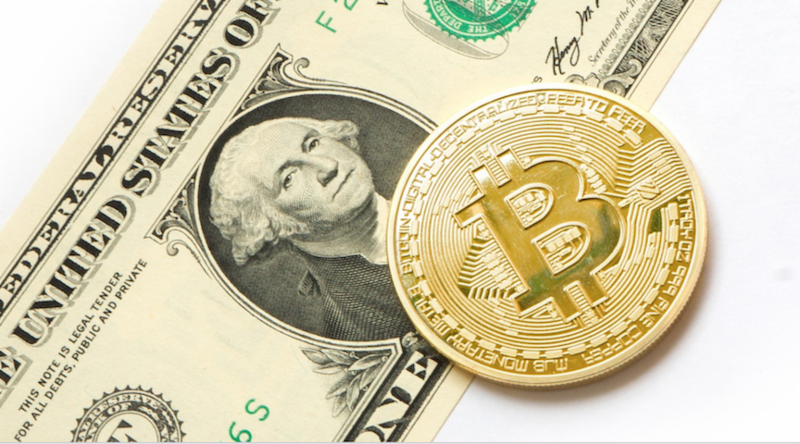 That said, I feel like a lot of people worry that, because the marketplace for cryptocurrencies has so rapidly expanded in terms of the number of products on offer, somehow diminishes the strength of the market overall. My intuition is that the opposite is most likely true. For the first time in a long time, the market is being invited to sort the wheat from the chaff with regards to preferred qualities of money itself. It is we, consumers, not bureaucrats and central bankers, who get to decide which coins offer the properties we deem to be most valuable. Whether that’s ease of use, cost or speed of transaction, privacy, security, price stability…or whatever else. The point is, in a truly free market, users/consumers are king. Those coins that best satisfy the wants and needs of their user base gradually attract more users and, therefore, gain larger market caps. Coins that are found to be clunky or in some fashion unreliable, will wither on the vine. Right now, bitcoin is winning the competition with right around 48% market share. Obviously, that could very well change over time. In fact, it almost certainly will. And that’s just how markets should work, the forces of creative destruction continuously punishing the bad and rewarding the good. It’s the practical opposite to what we see in the traditional (read: crony) banking sector, where gross malinvestment is not only encouraged – by artificially manipulated interest rates – but actually rewarded through, for instance, massive, taxpayer-funded bailouts when things really do go wrong, as in 2008. As we saw, that only led to mass consolidation in the sector, where more risk is now concentrated in fewer hands than ever before. Of course, a massively protectionist regulatory environment, which discourages healthy competition by way of artificial barriers to entry, only poisons the waters. In my view, it’s a very good thing that coins in the crypto world must sink or swim based on their own merits, that there is no “lender of last resort” on standby to bail them out if they misbehave. There’s never been a “bitcoin bailout,” and a good thing, too! Nick Giambruno: Right. And bitcoin has plenty of other advantages. It also has the largest and most decentralized network by far, with no single point of failure. Even if a nuclear war wiped out half the world’s computers tomorrow, bitcoin would still exist. The simplest way to get involved is to really just to buy a small amount, something you’re comfortable venturing. Joel: Learn by doing, in other words. Nick: Exactly. You can think of it a little bit like email. When email first came around, the concept was almost impossible for the average person do digest. It was simply too abstract. Too esoteric. Really the easiest way to learn how emailed worked was to begin using it. After a while, it becomes intuitive, natural, even. Same thing goes for bitcoin. You can learn about the mining process and distributed ledgers and the whole philosophy behind it, but the easiest way to get that process started is just to download a wallet, buy a small amount worth – it could be as little as $10 or $15 – and begin familiarizing yourself with the technology interfaces. Nick Giambruno: Yet we all love to travel. And, as with email, the technology is improving all the time. Rest assured, there are some really smart people out there working on the latest wallets and exchanges and applications, so this is only going to become accessible to more and more people, which can only be good for the market over the long run. Joel: Still not too late to be early. Thanks for talking with us today, Nick.